This website has been designed to promote the art of music production and engineering through the use of educational and career development techniques. The information provided ranges from beginner level all the way through advanced production techniques. These are the techniques, approaches and methods of producing music that I have learned over the last 30 years and continue to learn on a day to day basis. The fundamental principles of producing and engineering music, outlined in the pages throughout this website, are built from my personal observations of working with some of the best music producers, artists, musicians and engineers in the industry. These principles underscore techniques and methods that are tried and true and prove themselves over and over in the studio. When understood and practiced, a foundation will be built that will allow you the freedom of creativity and expression that are the fundamental basis for creating great music and great music productions. While many of the techniques discussed are simple, they require a lot of practice, discipline and attention to master. Each new production you undertake provides challenges that will require careful attention and application of these principles. It is our passion for music that brings us to want to create it. Passion is the key to all success in the music industry and life. Your passion for producing music has brought you here. That passion must be fed with an insatiable desire to learn more and more about the art of producing music. It is in this spirit that I provide what I have learned to this website. It was my passion for music production that led me to New York City over 26 years ago to work in the best studios in the world. Working with many of the top artists in the music industry, I learned the working behaviors of hugely successful music producers, musicians, engineers and music business professionals. They taught me, knowingly or not, exactly what the word "professional" means. The desire, attention to detail, and unrelenting work ethic showed me how the best of the best become successful. The lessons learned laid the framework for a career in the music industry that has lasted close to 30 years. These are the working methods, attitudes and approaches I have used in every phase of my life to achieve success. I hope that you will join me in learning these principles so that you too can make a career in the music industry and fulfill your own music production career dreams. The most difficult thing to learn in the pursuit of a producing music is how to overcome mistakes. Every situation provides you with an opportunity to grow and learn how to "do it better" the next time. It requires an unrelenting thirst for new knowledge and approaches to the challenges that arise with each new music production venture you undertake. Without a professional guide, bad habits can easily settle in. It is for this reason that working side by side with a professional in the music industry is key to your success. While this is not possible through a website, I will encourage you over and over again to pursue your career goals by putting yourself in professional situations as often as is possible. This website will be expanding with new information every day. The direction that expansion takes will be largely driven by your feedback and the information you are looking to know more about. While my career and experience expand across a wide variety of music styles, no man is an island! My intention is to provide what I have learned about the art of producing music in a way that is informative, entertaining and easily understood so that you can make quantum leaps in your own music productions. I encourage you to submit questions, requests, likes and dislikes about the website so that I may provide the information you are looking for. If the scope of information you are seeking is outside the realm of my expertise, I will gladly guide you in a direction that provides the quality content you are looking for. I hope that you find the information I have provided on this website valuable. I look forward to hearing your comments, answering your questions, and shaping a website that will help you achieve all of your music production goals!!! The biography, discography and brief description of the music production and engineering career of Michael White. 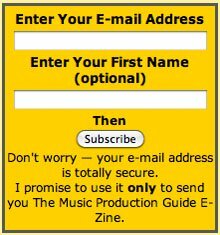 The Music Production Guide E-Zine is a monthly (more of less...) newsletter that provides music production, engineering and career development tips for those pursuing a career in music production. Thank you for inquiring into the music production services provided by music-production-guide.com. Does Becoming a Music Producer Interest You? Discover the skills you need in becoming a music producer. 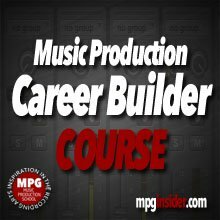 Learn how to direct your path to a music production career. Learn what it takes to be a professional audio engineer in today's music industry. Learn about professional music production studio design and how recording studios have adapted to the many changes in the music industry. A practical guide to understand, design and build your home recording studio. 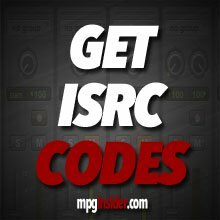 Learn about ISRC codes, how the system works, and how use the system to track sales and usage of your music. Fill out this ISRC Agreement application to acquire ISRC codes. Learn about the music production process in its traditional form and how taking each step in the process seriously will save you enormous amounts of time and frustration. The art of recording music is explained from the perspective of understanding how the fundamentals of acoustics is really what creates great sounds. This is a guest article by Jim Monaghan and Gregory Kage about producing Jamaican Music. Learn about basic acoustics and recording studio design in this audio program series. The fundamental principles discussed here frame the foundation for all recording and studio design work. Contact Us for all inquiries regarding music-production-guide.com. The Music Production Guide E-Zine !! !